As the guys at JP Australia say, the new 2013 Lady SUP is a girl’s best friend. Every aspect of this board has been tuned and tweaked to suit the needs of female SUP enthusiasts. The Lady is a very light and easy to handle board. And it features a cool women graphic design. The board is also very well balanced and feels very reliable in most conditions. It can reach nice speeds and perform quick turns. It has a good grip and excellent shape stability too. The great thing about the JP Australia Lady is that it can be used for multiple purposes. It is perfect for fun racing, surfing, cruising, touring, training or yoga. 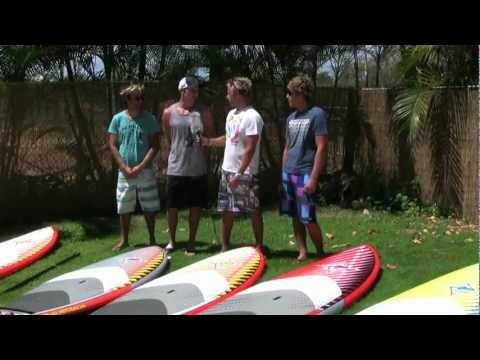 It is a very user friendly board which also has anything it takes to suit the needs of a more advanced rider. Riding the JP Australia Lady is fun and relaxing. The board is crafted using WS GL – Wood Sandwich technology with glossy finish. This technology assures the perfect strength to weight ratio.